After giving up on farming in 1863, Herman Melville moved his family to New York City, into an apartment building at this address. 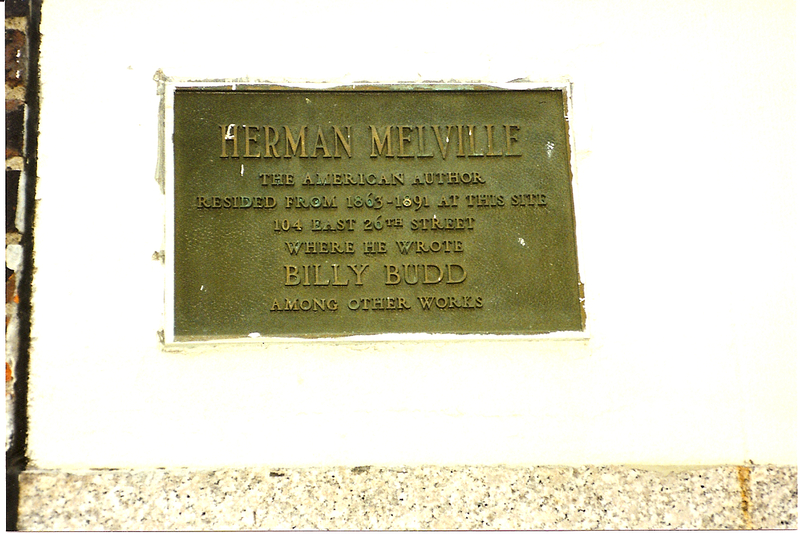 Though the building is no longer standing, a plaque marks its location, and the intersection of 26th Street and Park Avenue South, which is just west of here, is called “Herman Melville Square.” From this address, Melville commuted daily to his job in lower Manhattan as deputy inspector of customs, earning about four dollars a week. In the evenings, he worked on Billy Budd, which remained in manuscript at his death and is the only known fiction he wrote during his time in New York. In 1891, Melville died at home in relative obscurity. Many of his contemporaries thought he had died years earlier! His brief obituaries labeled his first book, Typee (1846), his most famous. 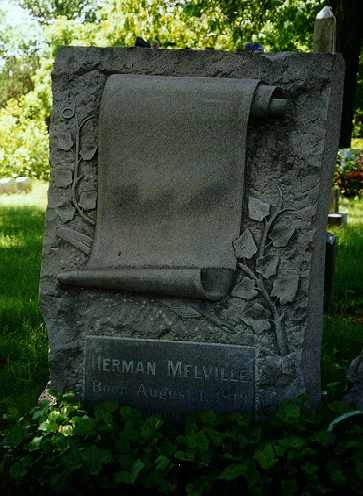 At Woodlawn Cemetery in the Bronx, his small marble tombstone also has remarkably little to say about a man whose work has passed into the literary canon: it simply gives his name and dates. A personal aside: I lived on East 26th Street from 1991 to 2003, just east of this plaque, and used to pass it every day on my walk across town to work.